Rice is a staple food in certain countries and is also a favored ingredient in some well-known recipes. Rice is rich in carbohydrates and can be paired well with certain viands. Other times, certain types of rice can stand on its own and be a complete meal in itself. Examples of this are Spanish rice and Mexican rice. These two colorful dishes often include other ingredients, such as meat or seafood. A lot of people would consider them to be one and the same thing, but they actually are not. 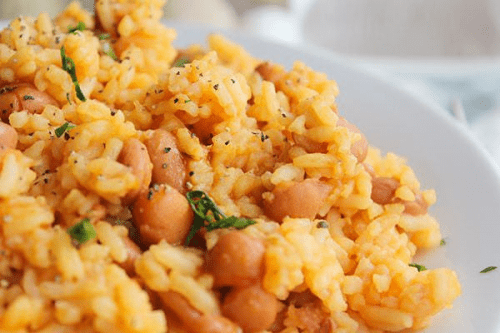 This article will shed light on the differences between Spanish rice and Mexican rice. Hopefully next time you are served these dishes, you’ll be able to distinguish which is which. Spanish rice is a dish made with rice pilaf, tomatoes, onions, garlic, and saffron that are all simmered in chicken broth. The saffron is the distinct ingredient in Spanish rice, giving it a semi-sweet flavor, and also gives it its yellow color. Spanish rice is also known as paella and can be combined with other ingredients such as bell peppers, meat, and seafood. Mexican rice is a dish made with rice pilaf, tomatoes, onions, cilantro, and cumin, all cooked in chicken broth. Cumin provides that nutty and spicy taste to Mexican rice, and also gives it its red-orange color. Mexican rice is also called arroz rajo or “red rice” and is sometimes combined with bell peppers, beans, or other leftover ingredients from the fridge. What differentiates Spanish rice from Mexican rice is basically the spices and how they give the dishes their colors. Both types of rice have the same basic ingredients such as rice, tomatoes, and onions, and they are both cooked in chicken broth. However, Spanish rice uses saffron while Mexican rice uses cumin. These distinct ingredients provide each dish with its own flavors and colors. Saffron gives a honey-like, semi-sweet taste to Spanish rice. This type of spice is also considered bitter by some people but is mostly enjoyed for its subtle flavor and aroma, noted to be essential when making Spanish rice. Cumin, on the other hand, is an herb which is always a part of Mexican rice. It adds an earthy, nutty, and spicy flavor and aroma to the dish. Another differentiating factor between the two types of rice is their color. The addition of saffron makes Spanish rice appear yellowish whereas cumin makes Mexican rice appear red-orange in color. 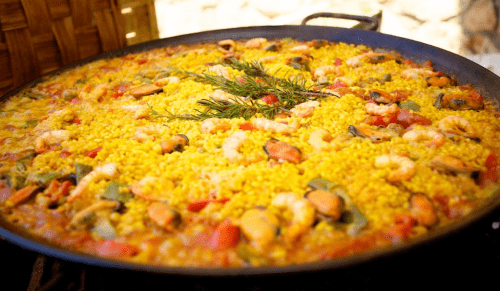 Spanish rice is also more popularly known as paella while Mexican rice is otherwise known as arroz rojo (red rice).